This College is accredited by NAAC B+ (National Assessment and Accreditation Council) validity is 29 Oct 2022 and the score is 2.66 . It has a great infrastructure . The staff is very supportive and helpful here . 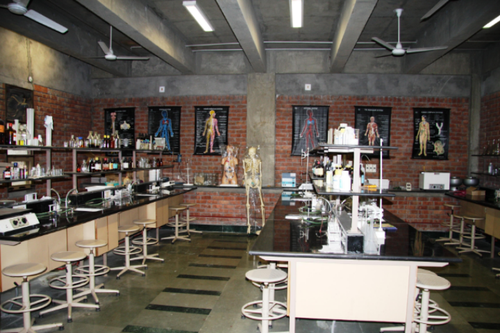 In my Biotechnology department I got to learn alot of things for my career. 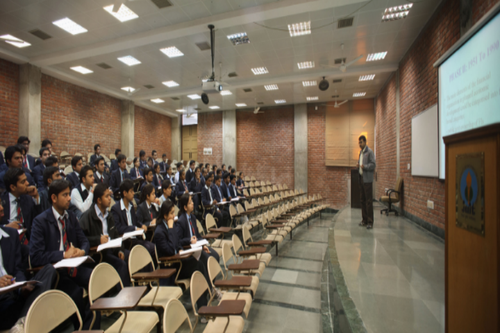 Placement opportunities are very good as compared to other private colleges . 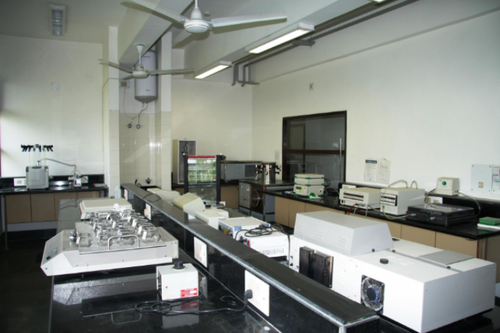 The phd students here helps the students in completing their projects and daily laboratory work. Myself Rohit and I am doing phd in bioinformatics from here. I am learning a lot of things in my PhD journey. The faculty of this university are well qualified and has a great research and teaching experience. The Library of this university has thousands of books, journal subscription and many more. Admistrative staff is very supportive. 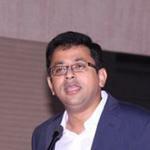 The student is placed in the good companies like Microsoft, google, TCS etc. In my view the university is very good for the exposure because they provide the student exchange program for completing the fourth year project of B.Tech students. The bioinformatics department has many softwares and servers for data analysis. The placement of this college is also very good. In my view this is the best engineering college for learn the things. The college infrastructure is pretty good. You see it once and it will have your heart. A lot of student clubs and independent recreational activities are there for students to take part in. The placements are fine. Many companies come during the placement drive. And the faculty is also fine. The environment is really good and very peaceful, away from the city life and close to nature, a student really gets time to think about himself and the things he wants to do. Placements: As of the year 2018, the placements are great for CSE and IT whereas, a little less for other branches. 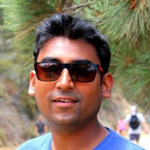 Some university students are placed in non-technical jobs as well. The highest package received this year was around 13 Lacs whereas, the average package was around 3.5 Lacs. Infrastructure: The infrastructure is really good in and around the campus. Wi-Fi facility is available in the academic areas. 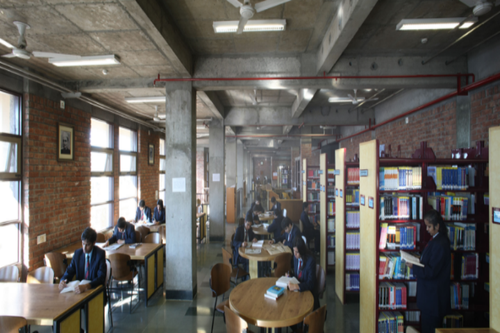 The library is well maintained whereas it lacks some of the facilities like fewer sports facilities, and the medical facilities which need some new doctors, according to me. Faculty: The faculty are really helpful in all the aspects. There are lots of good teachers who help in solving the doubts, and the teachers are well qualified. There is more industrial exposure to the civil students and the biotech students compared to other branches. 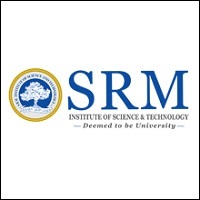 I am a recent pass-out from JUIT and even after completing my 4 years successfully from this college I have developed hatred of this college because of many reasons- 1)The college has lost its reputation on a very big scale, students with AIR 8-9 lakhs can also get admission in this college very easily. This has affected the college placements in a very big way. 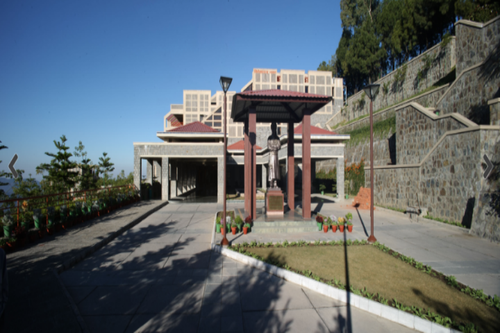 2) As the college is isolated and situated between mountains, the campus doesn't provide you with any outer exposure. Students here are limited to college life and believe me college life is not merely about academics. I have realised this fact after completing my 4 years here. 2)Hostel life is pretty amazing here, students come from different parts of the country and all get isolated and depressed from the college life, so you and your friends would have a great time living the hostel life. 3) The mess facility is really disgusting and sometimes they serve food which can get you hospitalised. Also the place lacks cafes and other places to eat which makes it really tough to have good quality food. 4) Yes you will be attracted to the scenic beauty of this pace- no doubt this campus is among the top 10 beautiful campuses of the country, but believe me, after just one month you would be fed up of watching those mountains over and over. 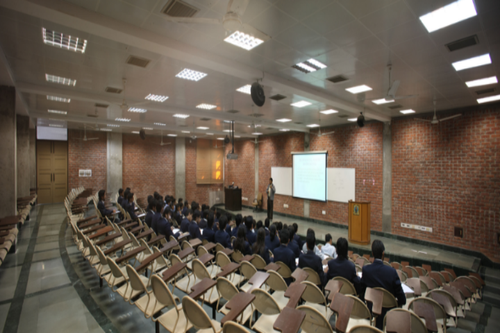 Because this college has only two positive factors- the beautiful campus and the amazing weather of solan, which would surely attract you during your counselling sessions here. 5) The college administration has gone under various changes from the past 4 years and the current director- rules over this college in dictatorial ways. Forget about getting help in your campus interviews or any other academic problem- the administration is more concerned about developing more and more ways to extract money from your pockets which they surely will over the course of your degree. 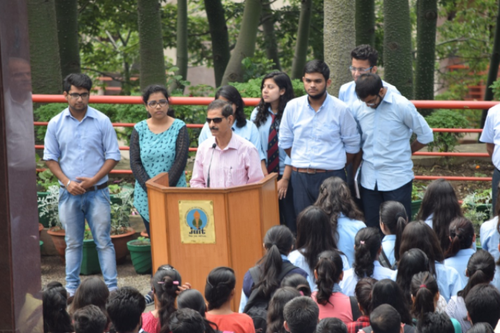 6) As JUIT is taking admissions of more and more below average students, its reputation has deteriorated and campus placements have become far worse in this college. 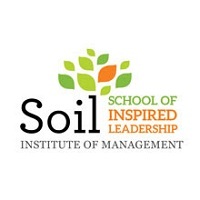 As an ex-student of this college, I wouldn't recommend this college to anyone. Please don't waste your precious money. These people have become desperate for admission to the point that they have started rolling out advertisements in the newspapers and radio. I would highly recommend you take due consulting from the students presently studying in this college before you get admission in this college as only they would be able to correctly tell you about all the pros and cons of this college. What is your category actually rank depends on that also? 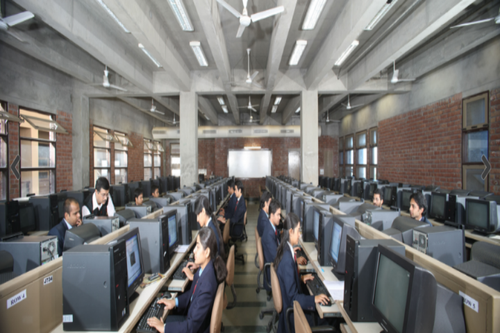 This College is accredited by NAAC (National Assessment and Accreditation Council) B+ validity is 29 Oct 2022 and the score is 2.66 . Boys Hostel :Besides offering the best hostel facilities to students, residential facilities to faculty and staff, Number of hostels Boys - 13, Number of hostels - 13, Number of Inmates - 1207, Facilities: Dining Hall, Canteen, Mess, Visitor's lounge, Common Room, Wi-Fi/LAN facility, indoor games, LCD TV and music system, medical, transport, 24 hours, Electricity and water supply, Provision of hot water supply and heating in all hostel, rooms in winter, etc. Girls Hostel :Besides offering the best hostel facilities to students, residential facilities to faculty and staff, Number of Girls hostels - 1, Number of Inmates - 545, Facilities: Dining Hall, Canteen, Mess, Visitor's lounge, Common Room, Wi-Fi/LAN facility, indoor games, LCD TV and music system, medical, transport, 24 hour Electricity and water supply, Provision of hot water supply and heating in all hostel rooms in winter, etc. Medical/Hospital :Medical Centre has two doctors (One Lady Doctor) along with all the supporting staff such as compounder, dresser, nurse and helpers etc. For indoor treatment, two beds for boys and one for girls is also provided. A separate MI room is also provided in the Girls hostel. The Centre also has an Ambulance for emergency cases. All medical staff stays on campus. Gym :The University has Two Gyms, one for boys and one for girls with Tread Mill, Cross trainers, and Cycles. Library :Learning Resource Centre (LRC), the University Library is located in the Academic block. It has carpet area of 1231 sq m. spread over 3 levels. 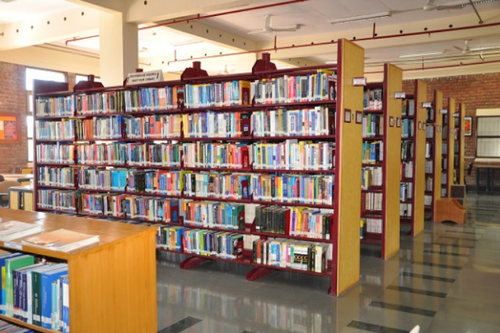 The reading area can accommodate about 295 users at any time where they can read/consult reference books, Journals (both print and\ electronic) using 55 odd internet connected computer terminals. The LRC has over 33969 books, subscribes to 64 print Research Journals and 12078 e-Journals, magazines, transactions and conference proceedings. 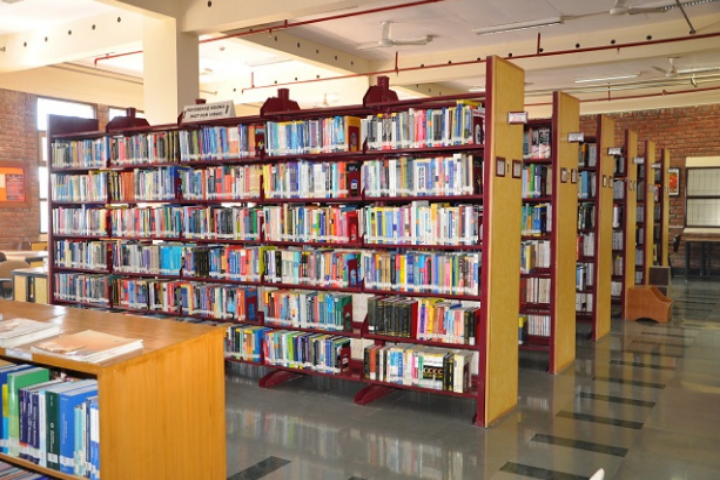 The LRC has 12709 Reference books, 21260 text books and 948 back volumes of Journals. 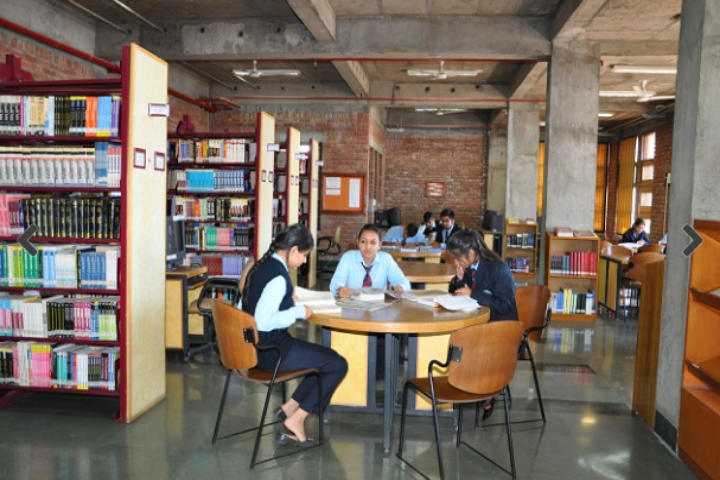 The collection of LRC also includes books of general interest, Research Reports, Theses, Standards, Atlases, Patents and back volumes of Journals. 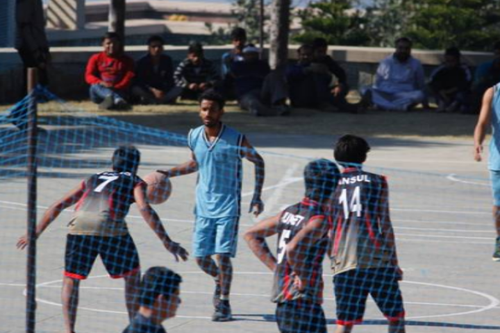 Sports :A sports coordinator coordinates the sports activities Outdoor: Grounds for Basket ball, Volleyball, and Badminton. 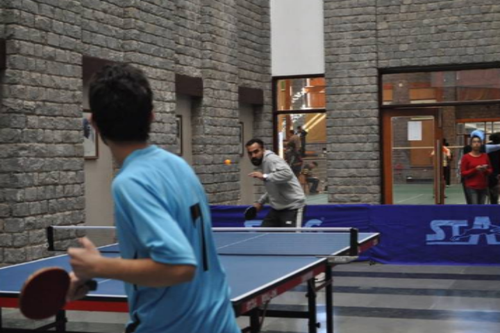 Indoor: Table tennis, Gymnasium (separate for boys and Girls), Chess and Carom A sports tournament PARAKRAM covering many sports is held in either of the four Jaypee Education System (JES) campuses every year. Cafeteria :Cafeteria caters for daily needs, refreshments, and snacks. All items are sold with a nominal profit margin. For variety, the menu in the Cafeteria is changed every day. Alumni Associations :Collaboration with Alumni Association and inputs from JUIT Alumni leads to visit by many companies for recruitment every year. Convenience Store :A college has a Convenience Shop All items are sold with a nominal profit margin. 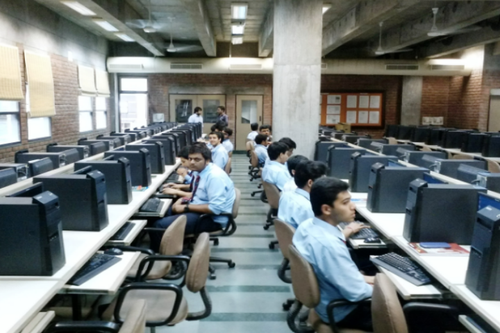 Laboratories :A dedicated laboratory with 59 networked computers and preloaded software is centrally used by the students as University Computer Centre/Research Lab/Project Lab.